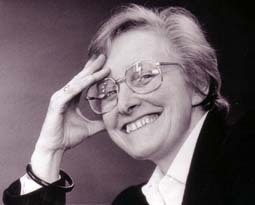 Marilyn Strathern is William Wyse Professor of Social Anthropology at the University of Cambridge and head of Girton College. While she is increasingly preoccupied with administration (the edited book, Audit Cultures (2000), subtitled 'Anthropological studies in accountability, ethics and the academy', touches on the institutionalisation of good practice), her research remains a lifeline. Starting in 1964, she has carried out fieldwork over several years in the Highlands of Papua New Guinea (Melanesia), the most recent field visit being in 2006. However, her research interests have for some time been divided between Melanesian and British ethnography. Investigations in gender relations in PNG (Women in Between, 1972) and kinship in the UK (Kinship at the Core, 1981) together led to a critical appraisal of ongoing models of Melanesian societies (The Gender of the Gift, 1988) and of British consumer culture (After Nature, 1992). Debates around legislation following the Warnock Report stimulated an interest in reproductive technologies; a collaborative research project (1990-91) examining some of the issues in the context of kinship was published as Technologies of Procreation (Edwards et al, 1993). Property, Substance and Effect (1999) is a collection of anthropological essays on persons and things, and along with colleagues in PNG and the UK she subsequently undertook a further collaborative project on intellectual and cultural property, under the general title 'Property, Transactions and Creations'. Common elements in these ventures come from an ongoing curiosity about comparative issues in knowledge, technology and personhood, brought together in her most recent book, Kinship, Law and Unexpected (2005). An unexpected outgrowth is involvement in new research intitiated by social anthropologists in Cambridge, Durham and Sussex on the study of collaborative practices in international science and bioethics across several Asian countries. Click here to read the abstract of Marilyn's presentation. Marilyn Strathern appears courtesy of a Hood Fellowship from the University of Auckland, and sponsorship from the Lion Foundation. Howard Morphy is Professor of Anthropology and Director of the Research School of Humanities at the Australian National University. He was previously a curator at the Pitt Rivers Museum, Oxford and Professor of Social Anthropology at University College London. 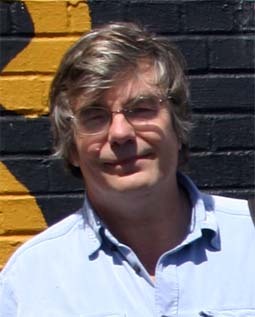 He has conducted extensive fieldwork with the Yolngu people of Northern Australia, and collaborated on many films with Ian Dunlop of Film Australia. He has worked as an anthropologist (with Frances Morphy) on a number of Aboriginal land claims and Native Title claims, including most recently that of the Yolngu people of Blue Mud Bay. In his career he has moved between Museums and Universities: researching and curating collections, and organising exhibitions. He has published widely in the anthropology of art, aesthetics, performance, museum anthropology, Aboriginal social organization, the history of anthropology, visual anthropology and religion. Click here to read the abstract of Howard's presentation. Click here to read the abstract of Rosemary's presentation. Eddie Taihakurei Durie is of Ngati Kauwhata and Rangitane in Manuwatu. He is one of New Zealand’s longest-serving and most-influential judges. He was appointed as a High Court Judge in 1998. Prior to that he was a Judge of the Māori Land Court from 1974 to 2000, and Chief Judge of the Māori Land Court from 1980 to 2000. He is probably best known for his work as Chairperson of the Waitangi Tribunal, Te Rōpū Whakamana i te Tiriti o Waitangi. He was awarded an Honorary Doctor of Law degree by Victoria University of Wellington in 1990, an Honorary Doctorate by the University of Waikato in 1994, and an Honorary Doctor of Literature degree by Massey University in 1999.